Barcelona is one of my favourite cities in Europe. It is where I first learned Spanish back in 2007, and after that, I just couldn’t get enough, returning nearly every year, sometimes multiple times. I love its bars, shops, beach, port, architecture, and of course, its food. 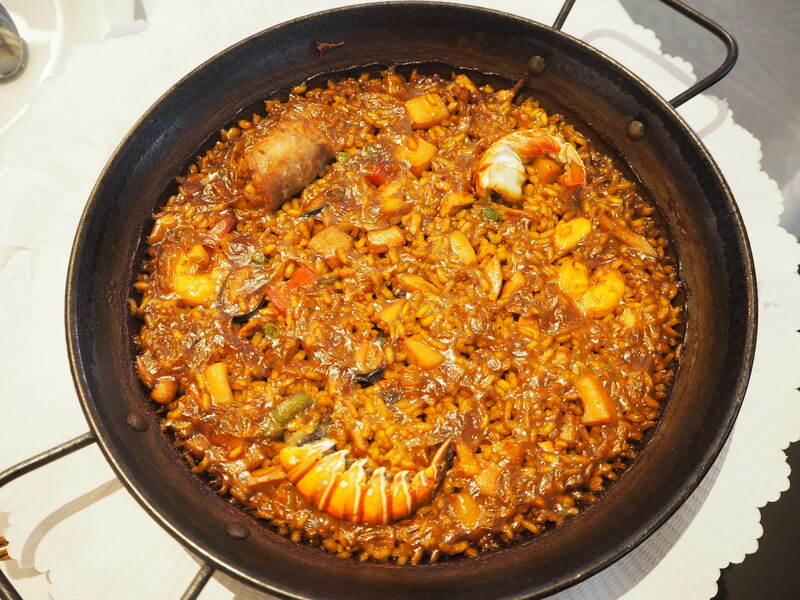 I’ve previously blogged about two lovely tapas places, Caramba and Txapela, but this restaurant, 7 Portes, is a little more upmarket, and features Spain’s most famous dish: paella. There is nay a tourist trap on the famous La Rambla that doesn’t boast a photo of this rice-seafood-meat-vegetable-stock-saffron delight, although most of them, as you can imagine, are inauthentic, pre-made, and tasteless. 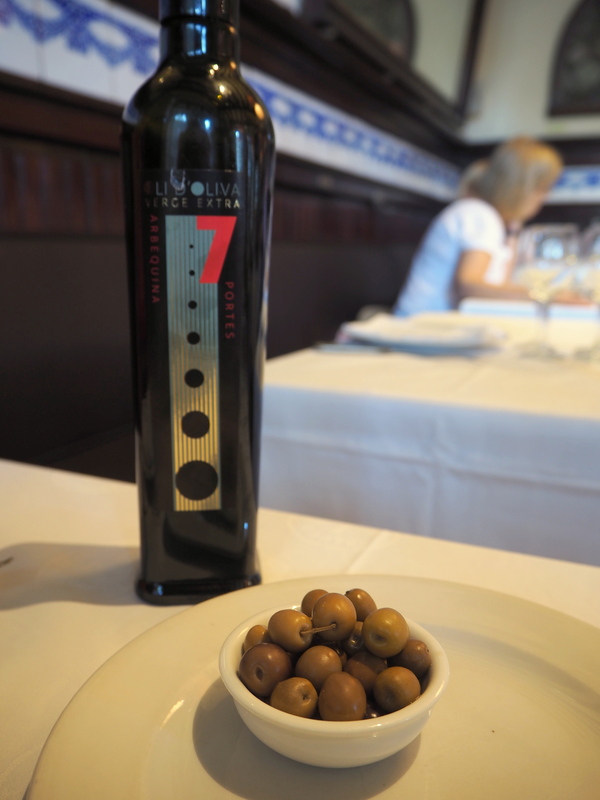 Not so at 7 Portes though, one of the most popular restaurants in the city, located near La Barceloneta beach. I had heard of it when I first lived here, though as a poor student it never even occurred to me to venture there. Now that I am slightly more grown-up (and had my mother with me), it seemed like a good time to step through one of its 7 doors and accept a table from the impeccably dressed waiters. Located in Barcelona’s port, just a few steps from the beautiful Parc de la Ciutadella (which we visited later), 7 Portes is a white-tableclothed, bowtied-waiter sort of establishment. 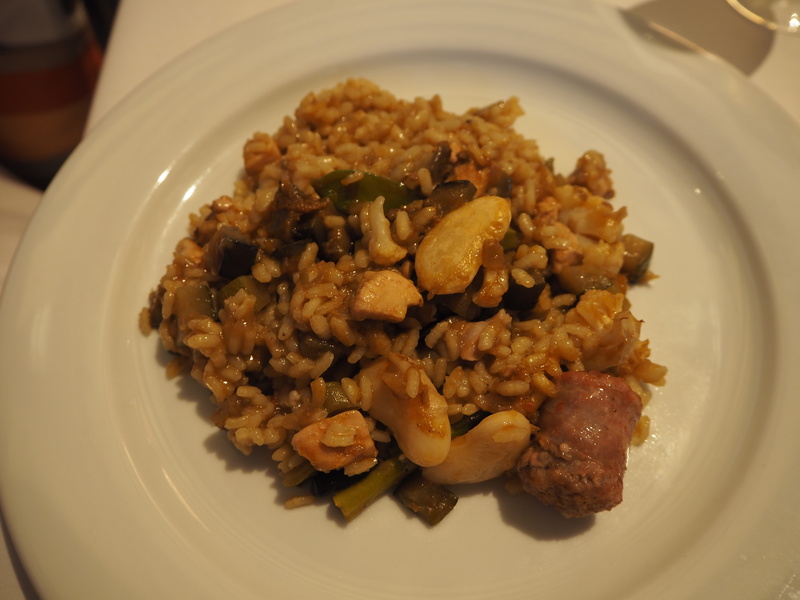 The prices, however, are surprisingly reasonable, averaging EUR 20 for a rice dish (depending on its ingredients). Mummy Swindian and I went for a light(ish) lunch, and so we decided to steer clear of the starters, choosing only the traditional pan con tomate to whet our appetites. 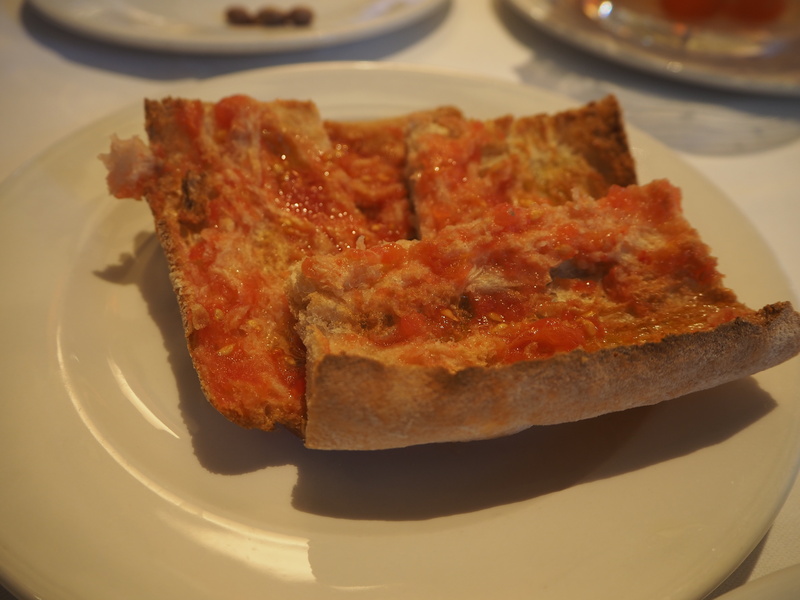 I’ve had better, and it was slightly overpriced, but drizzle some olive oil on bread and I’ll always eat it! 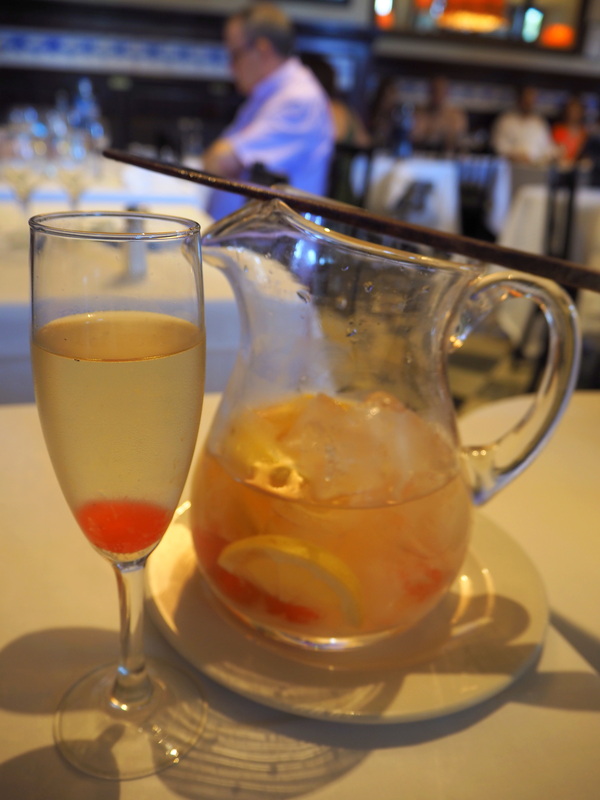 When we saw sangria de cava on the drinks menu, we couldn’t resist some of that either… fruity and fresh, it was the perfect accompaniment. 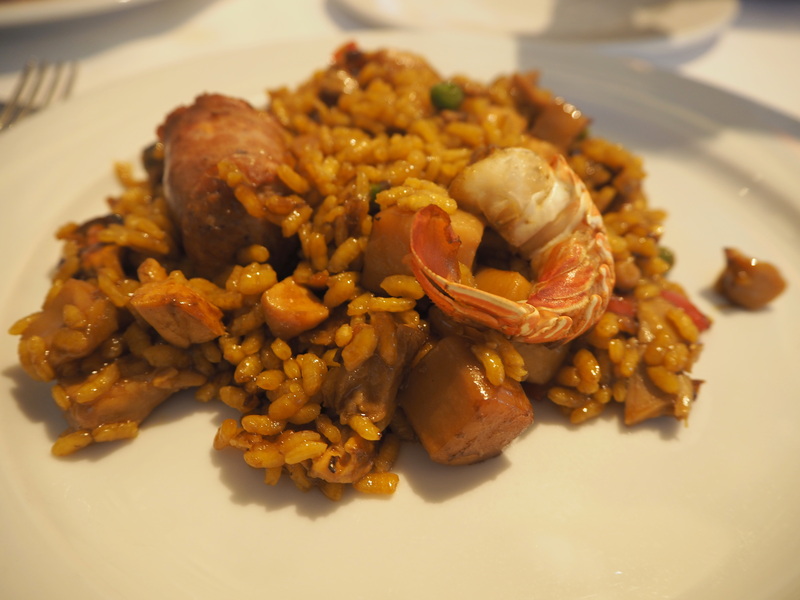 I chose the standard paella, which is a mixture of seafood, meat, and vegetables. Go hard or go home, right? It was a beautiful saffron colour, and every piece of meat or seafood was perfectly tender. I particularly loved the sausage, as well as the langoustines, which simply fell out of their shells and right into my mouth. It was also absolutely stuffed with ingredients and flavours. I recently had paella at one of London’s many street food stalls, and was astonished at their cheek. They just fill up your box with nothing but rice, and then add two measly pieces of chicken! As you can see, this certainly was not a problem today. Mummy Swindian went for a bolder choice of just meat and vegetables with no seafood, and it was incredible how much our two dishes differed in taste. Hers was slightly lighter in texture, but no less flavourful, with white beans, aubergine, zucchini, and even tiny cauliflower florets buried amongst the chicken and sausage. 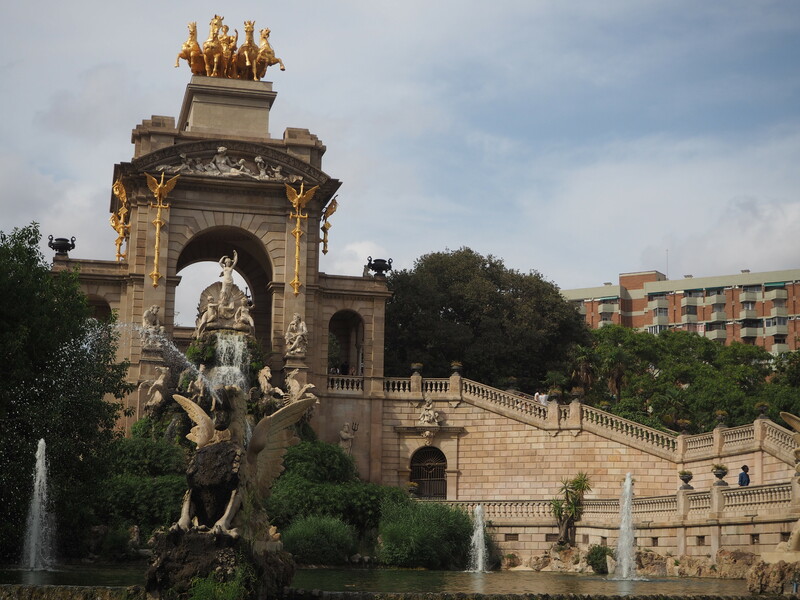 After lunch, we wandered around Parc de la Ciutadella for a bit, discovering one of my new favourite spots in the city. It was the top of this pantheon, where a lovely cool breeze blew non-stop, giving us a much-needed respite from the heat! All in all, it was a wonderful lunch and a perfect day in Barcelona. 7 Portes is known for being crowded, but we were able to make a reservation the same morning without any issues – perhaps the summer holiday worked in our favour. Either way, be sure to pay them a visit the next time you’re in Barcelona! On second thoughts, we probably could have shared one portion of paella between us, but if we’d done that, we couldn’t have tasted both flavours now, could we?